The Financial Services Authority (Otoritas Jasa Keuangan – OJK) issued OJK Regulation No. 37/POJK.04/2018 on Equity Crowdfunding (“OJK Regulation No. 37/2018”) on 31 December 2018. OJK has also held a socialization event regarding OJK Regulation No. 37/2018 on 29 January 2019 (“Socialization”). The rapid growth of financial services and the absence of regulation on equity crowdfunding in Indonesia have encouraged OJK to issue OJK Regulation No. 37/2018. Finally, OJK introduces a whole new equity crowdfunding procedure highlighting the roles of each party in an equity crowdfunding, the offering process and exemptions to public. Equity crowdfunding services are defined under OJK Regulation No. 37/2018 as the carrying out of services on the offering of shares by issuers to sell shares directly to investors through an open electronic system network (“Equity Crowdfunding Service”). OJK Regulation No. 37/2018 also applies to the offering of other equity securities other than shares as may be further determined by OJK. OJK Regulation No. 37/2018 sets out three main types of actors in equity crowdfunding: operators, issuers and investors. An operator is the entity providing, administering and operating the Equity Crowdfunding Service (“Operator”). The issuer is the entity offering its shares through the Operator by means of the Equity Crowdfunding Service (“Issuer”). The investors are the parties purchasing the Issuer’s shares through the Operator (“Investor”). Both the Issuer and Investors are to be users in the Operator. An Issuer must be in the form of a limited liability company, and should not be (i) a company controlled (directly or indirectly) by a business group or conglomerate; (ii) a public company or a subsidiary of a public company; (iii) a company with assets more than Rp10,000,000,000, excluding land and building; or (iv) a company meeting any other criteria as may be determined by OJK. Based on these criteria, equity crowdfunding may be a perfect fundraising option for start-up companies and micro, small, and medium enterprises. Please note that an Issuer may only offer its shares in one Operator at any one time. The amount of funds raised through Equity Crowdfunding Services for each Issuer within a period of 12 months is limited to a maximum of Rp10,000,000,000 or any other amount as to be determined by OJK. Such offering may be conducted in one or more shares offering. the total amount of funds raised through the shares offering does not exceed Rp10,000,000,000, or any other maximum amount as determined by OJK. the total paid-up capital of the Issuer does not exceed Rp30,000,000,000. Both individuals and legal entities can act as Investors. Any investment with equity crowdfunding is deemed as a direct investment. An Investor with an annual income of up to Rp500,000,000 can purchase shares up to 5% of their annual income. An Investor with annual income more than Rp500,000,000 can purchase shares up to 10% of their annual income. Based on the Socialization, the above annual income verification is subject to the Operator. The above criteria and limitation are not applicable if the Investor is a legal entity having experience in capital market investment, as evidenced by the ownership of securities account at least for 2 years prior to the shares offering. OJK views that this group of people has understood the investment risks of equity crowdfunding. Starting from 31 December 2018, only a limited liability company or a cooperative (koperasi) that has been licensed as an Operator by OJK may carry out Equity Crowdfunding Services. Operators who have conducted Equity Crowdfunding Services prior to 31 December 2018 must apply for business license to OJK no later than 6 months following the issuance of OJK Regulation No. 37/2018 and is prohibited from entering into any new agreement with any Issuer until such license is obtained. Further, Equity Crowdfunding is not subject to the regulatory sandbox under OJK Regulation No. 13/POJK.02/2018 on Financial Digital Innovation in Financial Services Sector. An Operator in the form of a limited liability company may be a security company that has obtained approval from OJK to conduct other activities (as an Operator). An Operator in the form of a cooperative must be a service cooperative (koperasi jasa). When applying for business license, the Operator must have a paid-up capital (in the case of a limited liability company) or self-capital (in the case of a cooperative, which is the total of the cooperative’s main savings, mandatory savings, reserve funds and grants) of at least Rp2,500,000,000. There is no limitation for foreign ownership for the Operator. All Operators are required to be registered as an electronic systems provider with the Ministry of Communication and Information Technology of the Republic of Indonesia and registered as a member of an association recognized by OJK. publishing offers for the Equity Crowdfunding service to users and/or the public through private means of communication without consent. Each round of offering can be made for a maximum of 60 days. An Investor electing to purchase the shares must remit the purchase price into an escrow account as set out under the Equity Crowdfunding Service agreements. The Operator is then to transfer the Investor’s funds to the Issuer at the latest 21 business days after the end of the offering period. Any interests generated from such funds while in escrow account will be proportionately transferred back to the Investor. The Issuer shall deliver shares to the Operator to be distributed to the Investors at the latest 5 business days after the funds received by the Issuer, and the Operator is in turn required to distribute the shares to each Investor at the latest 10 business days after receiving shares from the Issuer. Investors are entitled to cancel the purchase of shares within 48 hours after the payment. In the event of a cancellation, the Operator shall refund the payment to the Investor no later than 2 business days after the cancellation. If the shares issued by the Issuer are scripless shares, the Issuer must register the shares at a custodian agreed by the Operator and the Issuer. Investors will receive evidence of ownership in the form of securities ownership register found in the securities account at the custodian. The Issuer must record the Investor’s shares ownership in the company’s shareholders’ register. This remains problematic at present because currently PT Kustodian Sentral Efek Indonesia has not issued any guidelines on the Single Investor Identification (SID) registration for equity crowdfunding investors. 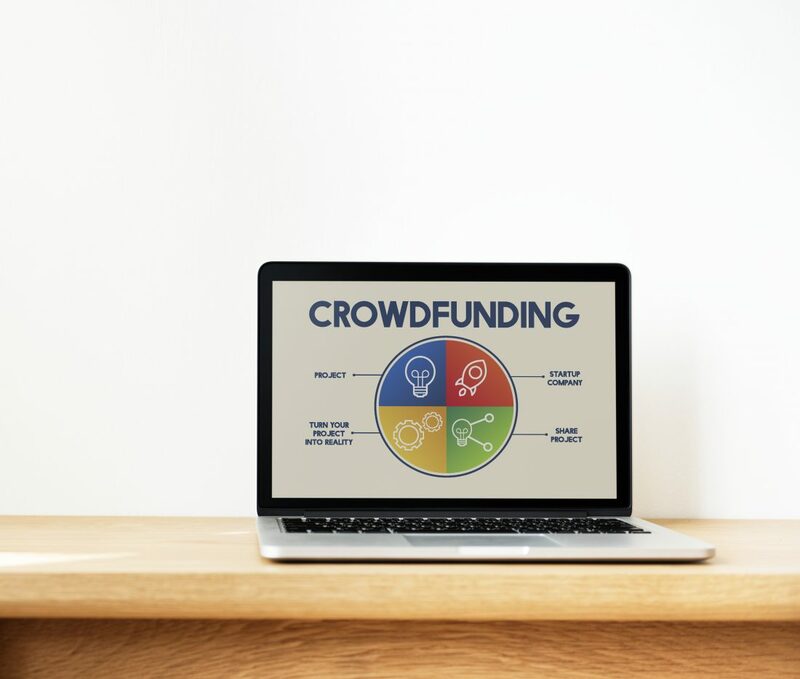 Interestingly, the offering of shares through Equity Crowdfunding may be considered as null and void if the total minimum funds that must be collected the by Operator is not fulfilled. An Issuer may, but is not required to, determine a minimum amount of funds to be raised; this amount may not be altered during the offering period. The Operator must proportionally refund the Investors the funds received along with all interests generated while in escrow account within 2 business days after such offering is declared null and void. Given the significant impact of funds raised falling short of the minimum, especially in light of the relatively short offering period, Issuers may wish to consider whether setting a minimum limit would be in its favor and whether it would be feasible to reach the intended amount within the 60-days offering period. An Operator may provide a system for Investors to trade the Issuer’s shares sold through the Equity Crowdfunding. Such trading can only be done by fellow Investors who are registered with the Operator. Such system may provide a reasonable price as a reference for the seller and buyer and provide a communication system for the Investor and Issuer as user to sell and purchase shares. This secondary market may be conducted using blockchain technology. OJK may impose administrative sanctions for parties in violation of, or having caused the violation of, certain provisions of OJK Regulation No. 37/2018. The administrative sanctions which may imposed are among others, written warnings, fines, restriction or freezing of business activities and revocation of business license. In addition to the prescribed administrative sanctions, OJK may also carry out certain actions against parties in violation of OJK Regulation No. 37/2018. OJK Regulation No. 37/2018 is considered as a landmark regulation because it is the first Indonesian regulation governing Equity Crowdfunding. Given the efficient and flexible process, Equity Crowdfunding may potentially cut the long and complicated funding mechanism compared to conventional initial public offering process in the Indonesia Stock Exchange. We expect that OJK Regulation No. 37/2018 provides a strategic alternative funding for start-up companies and micro, small, and medium enterprises which will further encourage the growth of national economy.